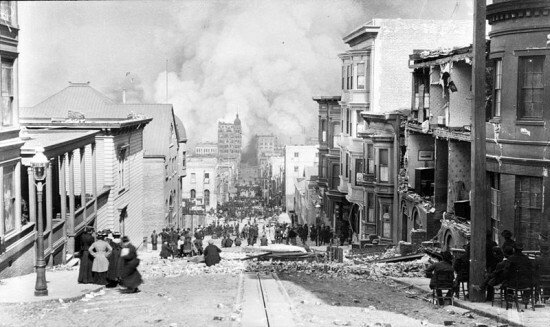 When the earthquake hit on April 18, 1906, it did so in the wee hours at 5:12 am. The cast iron Lotta’s Fountain on Market Street became a crucial meeting point and is now known as SF’s oldest surviving monument. Every year since, city officials (and in past years, survivors too) gather around the fountain for a reunion at 5:12 am to mark the exact time of the Great Quake.